If you use one (or more) of Apple's AirPort Wi-Fi routers you'll want to drop what you're doing and update their firmware immediately. Until you update, a security vulnerability could leave your network open to attack—and, trust us, that's not something you want. You probably don't think a lot about the firmware on your gadgets because it's more or less invisible. Unlike software updates for OS X or Windows, which often add new features, the firmware what makes your gadgets—from your laptop to your Nest Thermostat—operate at the most basic level. Without firmware telling your gadgets what to do, they wouldn't work at all, and that's exactly what makes firmware security problems so serious. 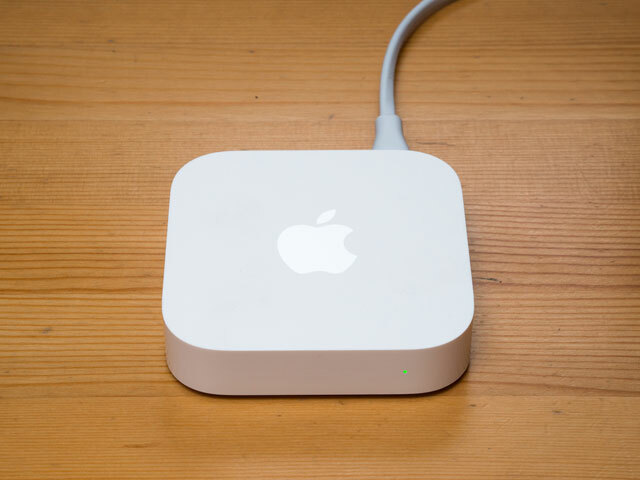 Apple has been vague on the nature of the problem with its AirPort routers, only saying that "a memory corruption issue existed in DNS data parsing" which could allow an attacker to execute code on devices connected to your network. If that sounds like gibberish to you, that's okay: the vague description of the problem even leaves experts guessing as to what the security issue was. However, antivirus maker Sophos speculates this could have allowed hackers to get into your network if you visited even an innocuous looking website—without even clicking anything on the page—by directing your browser to a "booby trapped" domain. If this was the case, an attacker could gain access to your AirPort router and, through that, your network and anything connected to it. With full access to your computers, it would be simple to steal your data or even hold your computer hostage with ransomware. While we've heard no reports of this vulnerability actually being exploited, you certainly don't want to take the risk that it might be. If you have an AirPort Express, AirPort Extreme or AirPort Time Capsule (with 802.11n or 802.11ac Wi-Fi), you'll want to download this firmware update right away. And, fortunately, it's simple to do. First, you'll want to be sure no one's accessing data through your AirPort devices. If any of your AirPorts are used to share an internal or external hard drive, make sure no one's accessing that data when you update. (This is most likely to come up if one of your computers is backing up to or restoring from an AirPort Time Capsule.) Anyone reading or writing data to that drive will be abruptly disconnected when the firmware updates, which can be a problem. After that, just fire up your AirPort Utility for iOS, OS X or Windows. (If you're not sure where it is, just do a search for "airport utility" to find it.) The app will check for updates automatically when opened and will tell you if any of your devices have an update available. To install the update, select your AirPort device and click "update." For those of you managing AirPort from your iPhone or iPad, the process is a little different: you'll tap the device, then "version," then select "download and install." Give the update time to install and you're all set to face the internet without fear! And, of course, remember to check for firmware updates regularly—the AirPort Utility checks automatically once a week—because they're often important.